WILLIAM HARVEY, the discoverer of the circulation of the blood; was born at Folkstone, in Kent, England, on the first of April 1578. After six years' attendance at the grammar school at Canterbury, Harvey, being then 16 years of age, was entered at Caius College, Cambridge. He took his first degree in arts in 1597, and having selected physic for his profession, left Cambridge about the year 1590, and proceeded to the university at Padua, then the most celebrated school of physic in the world. Having passed five years at that school, in attendance on the lectures of Fabricius de Aquapendente, Julius Casserius, and other eminent men who adorned that university, he obtained his diploma as doctor of medicine in 1602. He returned to England in the same year, and having obtained his doctor's diploma from his original university, Cambridge, he settled in London as a physician. In 1609, he was appointed physician to St. Bartholomew's Hospital, and in 1615 Lumleian Lecturer at the College of Physicians - an office then held for life; and it is generally supposed that in his first course of lectures (in the spring of 1616), he expounded those original and complete views of the circulation of the blood with which his name is indelibly associated. It was not until the year 1628, that he gave his views to the world at large, in his celebrated treatise entitled, Exercitatio Anatomica de Motu Cordis et Sanguinis, having then as he states in the preface, for nine years or more, gone on demonstrating the subject in his college lectures, illustrating it by new and additional arguments and freeing it from the objections raised by the skillful amongst anatomists. Shortly after Harvey's election as Lumleian Lecturer (in 1617 or 1618), he was appointed physician extraordinary to James I, and in 1630 was engaged to "accompany the young Duke of Lenox in his travels beyond the Seas," In 1632, he was formally chosen physician to Charles I. 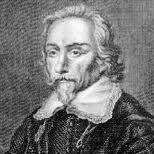 In July 1656, he resigned his Lumleian lectureship which he had held for more than forty years; and in taking leave of the college, presented to it his patrimonial estate at Burmarsh, in Kent, then valued at £56 per annum. He did not long survive, but, worn down by repeated attacks of gout died in London on the 3rd of June 1657.